Only three weeks are left before voting for Phase 1 of the seven-phase Lok Sabha elections 2019. Political parties have intensified their pitch and are doing all they can to cobble up alliances. 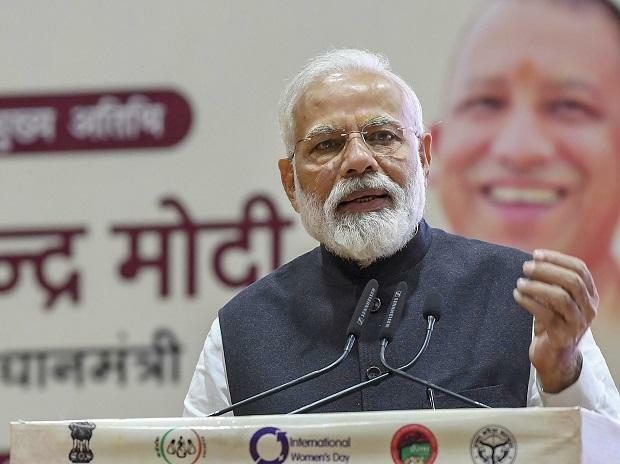 Prime Minister Narendra Modi on Wednesday urged people oto think wisely before casting their vote and attacked the Congress, alleging that the grand old party believed in insulting institutions, including Parliament, judiciary, media and the armed forces, when it was in power. "As you go to vote - remember the past and how one family's desire for power cost the nation so greatly. If they could do it then, they can surely do it now," he wrote on his blog. Congress leader Priyanka Gandhi hit back at Modi saying "I think the PM should stop thinking that people are fools and understand that they see through all this". 'The prime minister has attacked every institution in this country for the last five years, including the institution of which all of you are a part,' she told reporters. Congress president Rahul Gandhi said that Prime Minister Narendra Modi has relegated the PMO to a "Publicity Minister's Office" by indulging in "mediocrity" in a highly sophisticated country. BJP has decided to drop all its 10 sitting MPs from Chhattisgarh, a decision that comes in the wake of the party's drubbing in recent Assembly elections. State BJP made the proposal to drop the MPs to the CEC of the party, which gave its nod. The saffron party’s rival Congress has so far announced the names of 137 candidates in five lists so far.